If you were injured at one of Florida’s resorts, then you should consult with a resort accident lawyer to determine if you have a case. The Florida resort accident attorneys at the Wolfson Law Firm can help you and we offer free consultations. In addition, we will never charge any fees unless and until we make a recovery for you. So, there is nothing to lose and everything to gain – for free. Just call us at (305) 285-1115 or toll free at (855) 982-2067 and let us answer your questions. Resort v. Hotel – What’s the Difference? Hotels can take various forms but are generally known as a place of lodging. The main focus of a hotel is a place to sleep. Depending on price and location, hotels can range from one star to five stars. Some of the upper-class hotels will provide food in restaurants and/or room service. Resorts and hotels are responsible to the guests and visitors at their properties. They are charged with the responsibility of keeping the area reasonably safe from danger and hazards. If you are injured at a Florida resort, then you owe it to your family as well as yourself to investigate and determine if your accident was avoidable. If it was then the responsible party should be held accountable for your medical expenses, lost wages, and your pain and suffering. To do this you should find the best Florida resort accident lawyer who can help you fight the major corporations behind these resorts. Since 1963, the personal injury lawyers at the Wolfson Law Firm have represented injury victims from Miami, Fort Lauderdale, Palm Beach and all over South Florida. Our resort accident attorneys have assisted people from all over the United States and the world who were injured at Florida resorts while visiting for family vacations, honeymoons, conventions, business meetings or staycations. No matter what you might feel – do not be a silent victim. Stand up for yourself and make sure you get the best Florida Resort attorney you can find. The serious injury lawyers at the Wolfson Law Firm can help you take on the major corporations that run the Florida resorts. Our resort accident attorneys will conduct a thorough investigation and take on the financial burdens of a complete investigation. You will not owe anything unless we make a financial recovery for you. All you have to do is call us at (305) 285- 1115 or toll free at (855) 982-2067. The resort accident attorneys at our personal injury law firm are proud to offer complete legal representation for all personal injury cases. We serve the people of Florida and anyone who visits and is injured at a resort. Since 1963, our injury attorneys have helped folks from Miami, Fort Lauderdale, Palm Beach, Orlando, Tampa, Marco Island, Florida Keys, Weston, Doral, Boca Raton, Vero Beach, Fort Myers, Sanibel Captiva, Sarasota, Miami Beach, Jacksonville, St. Augustine and Daytona Beach. 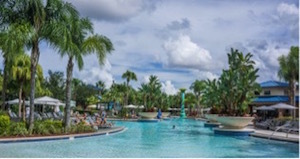 We have also helped people from around the world who came to Florida resorts including visitors from South America, Europe, Asia, Canada, Caribbean and Africa. Just call us today and let’s discuss your resort accident and injury.